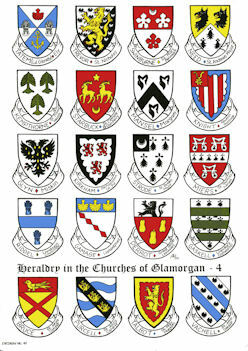 The Arms of Glamorganshire Families. 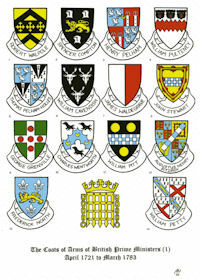 The Coats of Arms of Norman families in Glamorgan. The Coats of Arms of the Marcher Lords of Glamorgan c. 1093 - 1536. The Coats of Arms from the stained glass windows of Margam Castle. The Heraldry of the Medieval Inlaid Paving Tiles of Neath Abbey, Glamorganshire. Ecclesiastical Heraldry in Cardiff Castle. 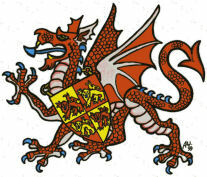 Heraldry of Stuart in Cardiff Castle. 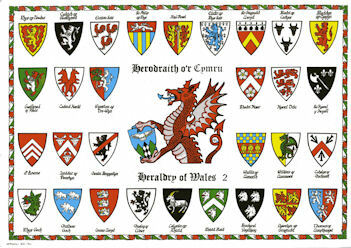 The Coats of Arms of the old Counties of Wales. Marchogion O'r Bedd Crist - Welsh Knights of the Holy Sepulchre. 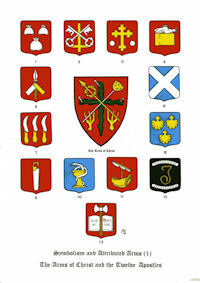 The Coats of Arms attributed to 'The Fifteen Noble Tribes of Gwynedd'. Arms of English Knights at the Battle of Falkirk, 2 July 1298. 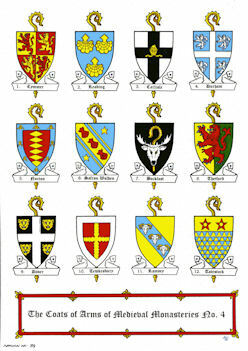 Arms of English Knights at the Battle of Crecy 1346. 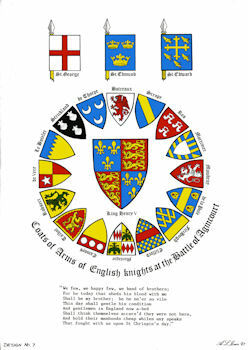 Arms of English Knights at the Battle of Agincourt 1415. 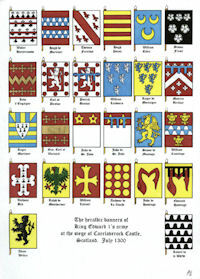 Arms and Crests of the Lancastrians and Yorkists at Towton 1461. 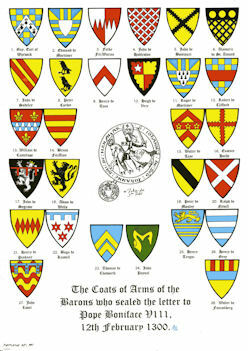 The Coats of Arms of the Barons who sealed Magna Carta. Coats of Arms of those persons connected with the Gunpowder Plot, 5 November 1605.